If it takes a licking, just get another one. . .
Every once in a while, a dude has to go on an adventure. It means stepping away from the keyboard, putting down the game controller, and actually going outside into the elements. Out there, you're going to need an adventurous watch. 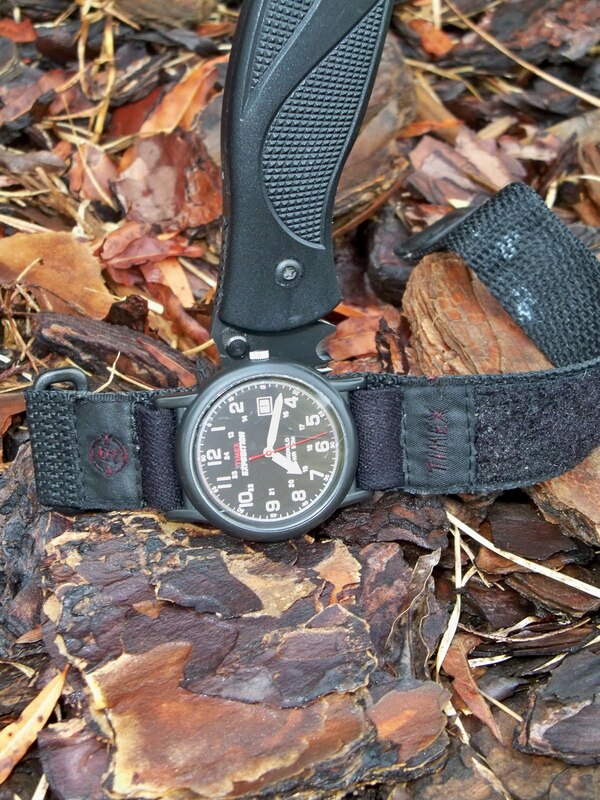 There are two schools of thinking about adventurous watches. Some people want an expensive multi-function watch that can do everything. Others might want a cheap almost disposable watch that can easily be replaced. 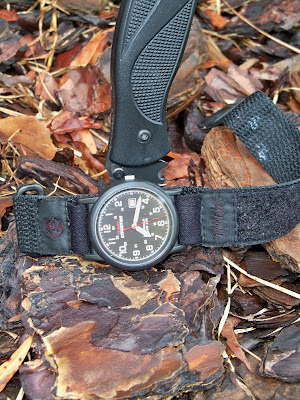 One such cheap adventurer's watch might be the basic analog Timex Expedition watch. It looks tactical, but it's got a black fabric band and a plastic case in its least expensive version. It keeps time well though and can be had for just over $20. 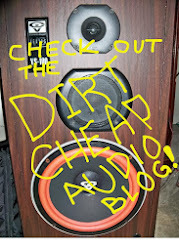 It has macho looks and a Timex indiglo backlighting system, but is dirt cheap in its most basic form.